As a product this camera may have many (maaany) problems, but as a concept it has an intriguing nugget at its core. The UCIM Camera, for Samsung by designer Jung Eun Park, addresses the problem of sharing the photos each person takes at an event. 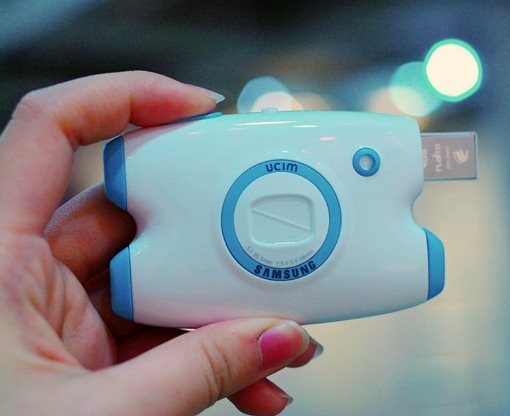 Instead of relying on each photographer to share his files, the UCIM has each person put their memory card into the camera simultaneously. When photos are taken, they're written to all memory cards at once. When you part ways, take your card with you. It moves the "sharing" moment up to an earlier stage in the experience, and forces it to a default - both powerful moves in ensuring that it happens. The rest of the details may be silly (and look like something for a 2nd-grader), but that one bit makes ya think! Husband-and-wife creative team Mike and Ellie Kemery have a clever concept here: give an offset and a lip edge to a standard electrical outlet, and you suddenly gain all kinds of ways to manage cables, adapters, and charging devices. 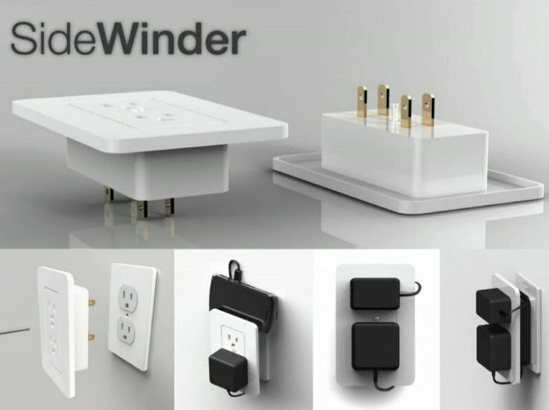 They turned that idea into the SideWinder, a product they're developing through Kickstarter, a "funding platform for creative projects." I love the simplicity of the design change, and the plethora of usability advantages it offers - and the fact that you can buy (or at least "pledge to buy") either just the product itself, or the product plus a book about its creation. Now that's marketing! Dan Saffer at Kicker Studio has an excellent explanation for "Why you want (but won't like) a Minority-Report-style interface." 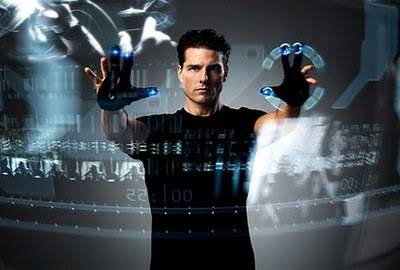 Gestural interfaces have had "cool" factor since that movie featured them - and since then, can't seem to be mentioned without invoking its name. But "cool" and "useful" are two very different things - and gestural interfaces fail pretty badly at the latter. They're flaky, imprecise, have poor feedback, and after only a few minutes of use lead to an achy condition called "Gorilla Arm." I admit that they have some wonderful applications for gaming, but those are game-specific; for general computer interfaces, the existing tools we've had for years (mouse, trackpad, buttons everywhere) are just more efficient and useful. 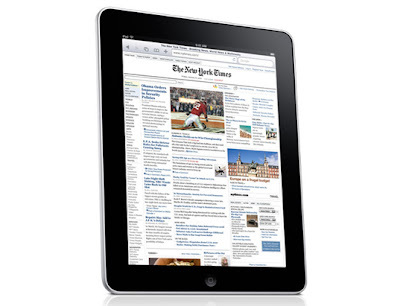 Gestural interfaces may be cool for now - but once that fades, we'll all be back to more efficient interactions. Save the gestural stuff for gaming! One plank of the green platform seems to be inducing guilt over resource consumption - it may not be the most cheery part of the trend, but hey, if you need a crying Native American to get your attention, so be it. 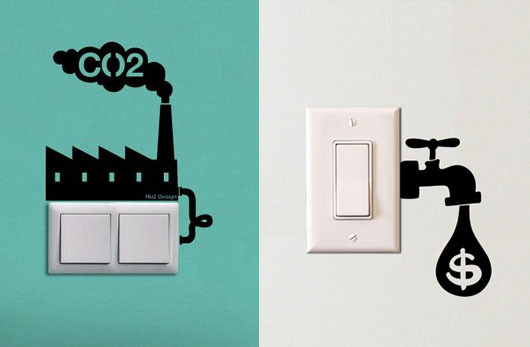 To feel your shame right at home, you can add these Eco Reminder stickers from Hu2 Design to your switches and outlets. On the optimistic side, they also have stickers that show renewable energy sources like wind and, um, hamsters. Just combine these with some of Pete Kazanjy's "These Come From Trees" stickers on your paper products, and you're good to go!